If we try to understand the class of full-size luxury sedans, offered by Cadillac, we can be easily confused if we are not paying full attention. Not so long ago we had STS and DTS at the same time, although the offer of more than one model in the same segment for American brand is not something so unusual. Then came XTS in 2012 replacing them both and making things easier to comprehend. But now for 2016, we have CT6, which is not trying to replace XTS, but rather to supplement Cadilac’s offer. And it does its job well, so pay attention to what it is bringing to the table in an attempt to better tackle Mercedes S-Class, BMW 7-Series, and Audi A8. Styling is a continuation of Cadillac’s “Art & Science” design language already used on CTS, and you have to agree that it is a good thing. Even more, same design approach on CT6 with its longer and wider body gave an even better sense of unassertive and cultivated luxury styling. With a touch of sharpness associated with the brand, but in a more restrained manner than for models before, importantly avoiding “bling” syndrome suffered by Escalade, as chrome parts are dressed in satin finish now. Yes, you can say that S-Class is more extravagant, but elegant simplicity will draw crowds to Caddy also. Engine offer is pretty good, and the only option to combine with these comes in shape of 8-speed automatic gearbox. Starting point is turbocharged 2.0-liter I4 producing 265 hp and needs 6.1 seconds to accelerate from 0 to 60 mph, which everybody would agree is praiseworthy. Second in the lineup is the stronger 3.6-liter 335hp unit as naturally aspired engine representative. Further up the range, we are getting 3.0-liter twin-turbo V6 that produces 404 hp with an acceleration time of 5.3 seconds. Last two engines are offered with the all-wheel drive system. Now it becomes interesting, so don’t be hasty and just go for more powerful versions. As you can see, there is no V8 option, and there is no need for it as aluminum used in chassis has paid off reducing weight by a proper margin. 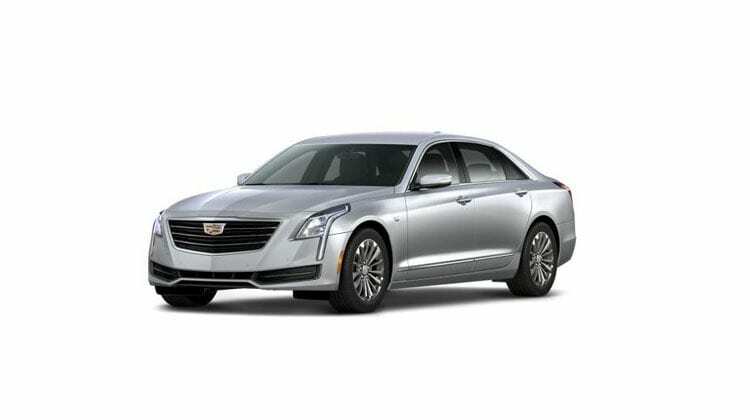 In lightest form 2017 Cadillac CT6 weighs just 3,657 pounds, which is incredible 1,000 pounds lighter than S-Class and even 100 pounds lighter than class smaller E class. Stronger twin-turbocharged 3.0-liter V6 and all-wheel drive bring in 4,085 pounds of total weight which is still 225 pounds lighter than the BMW 7-Series, but that is not as much as the I4 option is giving. So base turbocharged four-cylinder engine with rear wheel drive provide significantly lighter setup and is definitely more agile, more precise and more fun to drive. Another advantage of this option is the fact that it will eliminate understeer produced by the extra weight of bigger engines. Not to mention fuel economy, smallest turbo unit returns 22/31/25 mpg, while 3.6-liter offers 18/27/22 mpg and 3.0-liter turbo cuts to 18/26/21 mpg. Trim wise you can choose from Base, Luxury, Premium Luxury, and Platinum option. Entry level version will bring plenty on the menu, such as dual-zone automatic climate control, driver seat with memory, rearview camera, heated front seats and more. Luxury brings a 10-speaker version of the Bose audio system, Premium adds Enhanced Vision and Comfort Package with the rear view camera mirror, ventilated front seats and heated rear seats. Top of the shelf Platinum tops with Active Chassis Package, Driver Assistance with Night Vision Package and some more. 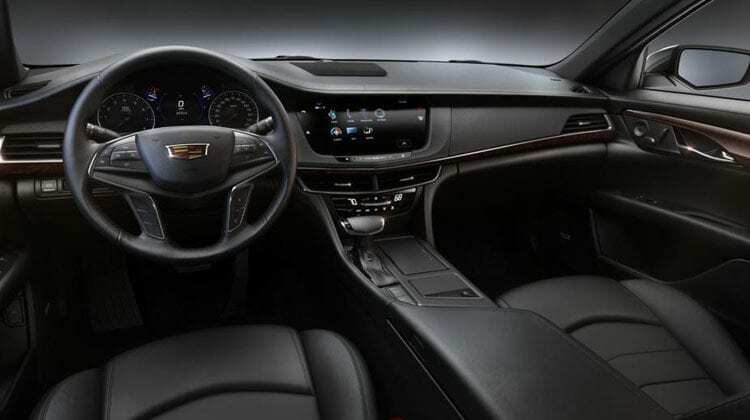 A similar situation is with used materials in the cabin, which are great and best so far in Cadillac’s range, plus you get fit and finish level which is good in the brand’s sense, but much lesser compared to German sedans, especially if we touch build quality subject. 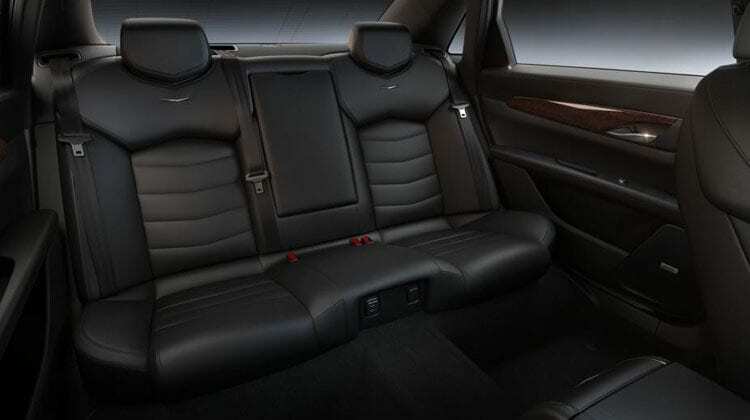 Space is quite decent, both in front and rear, but don’t try to force three large guys at the back, although two of them can be basketball players that can even enjoy massaging and reclining rear seats, as well as a pair of 10-inch screens if you click those options on the list. Safety is well covered since features like adaptive cruise control, automatic emergency braking, lane-keep assist, and even night vision and a surround view camera with recording option among else are offered. To wrap it up; with aluminum body and rear wheel drive, 2.0-liter petrol version is in sports sedans territory concerning ride quality, spacious and fair quality of cabin, restrained but eloquent luxury, all together with tempting pricing makes this Cadillac closer than ever to German counterparts. Congrats to Caddy.